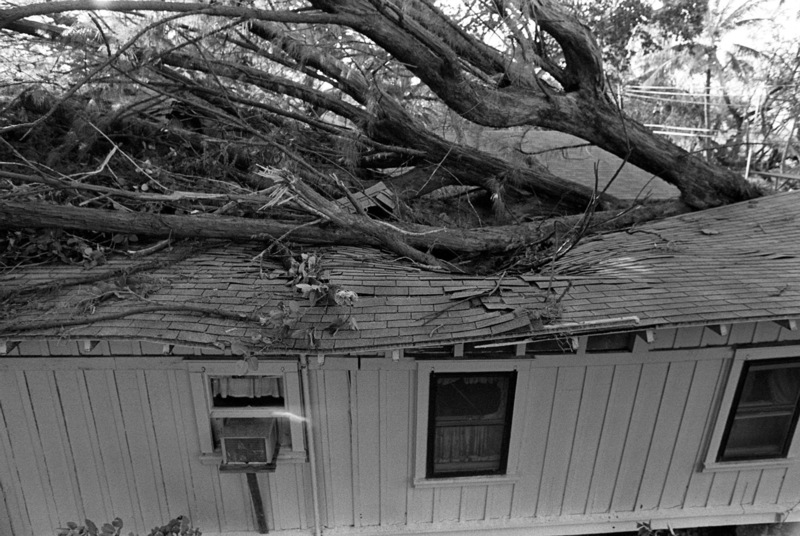 When a tree from a neighboring property fell on her home, Jeretha was not surprised. The property next door to hers was vacant and had been for some time, and she had noted the dead tree with concern. Since the property was owned by the bank, she reached out to them to alert them of the risk the dead tree posed to her house, but the bank took no action. So while she was not surprised by the fall, she was alarmed at the damage – thousands of dollars in repairs had to be made to her home to return it to a livable condition. Although she made a claim on her insurance policy, she still had to pay a $500 deductible as well as $800 for the tree removal that was not covered by the policy. This $1,300 represented about 70% of her monthly income, which would have inhibited her ability to care for herself in the meantime. Jeretha had tried to work through the bank to request compensation for the money that she had paid, but the bank refused her request. She then called the Senior Legal Hotline, a project of Atlanta Legal Aid which provides legal advice, brief service, and referrals to Georgians over 60. With the Hotline attorney’s help, the bank agreed to reimburse the client for the full $1,300 which she lost due to the repairs. For those living in poverty, paying for legal representation is often out of the question, and without legal representation, people are far less likely to secure favorable outcomes in the courts. Jeretha’s case is an excellent example of how the presence of an attorney can make a world of difference for Legal Aid clients.